Manolo says, the Manolo loves this 19th century work, described as the “Worst (and possibly funniest) book on acting ever written. Lessons in Acting was first published in 1889 by Albert Webster Edgerly, under his customary pen-name, “Edmund Shaftesbury”. It’s an attempt to teach acting by someone hopelessly unqualified for the task. And it’s hilarious. RULE 31—Passionate kissing. This should never be hurried, unless many repetitions are given. The lover puts his arm (the arm nearest the lady), about her shoulders, obliquely down the back and under her arm a little higher than the waist. His other arm encircles her waist. Her hand (the one farthest from him) is about his neck. Her head falls back upon his shoulder, the face being upturned to his, and the mouth ready. If the love and passion are REAL, he does not kiss often, but long. He approaches her rosy lips with gentleness, yet firmness, and the kiss has no force of contact but pressure in its continuance. It is not necessary to practice this much. And the illustrations are delightful. More of these marvelously ridiculous lessons may be sampled at the website devoted to the book. He does not know who the Suri Cruise is! As always, the Maestro Manolo Blahnik delights and amuses. Ayyyy! He does not know who is Suri Cruise AND he has the new book. That is not one, but two reasons to love the maestro! Manolo says, the holidays, they are upon us like the hungry red-and-green colored lion! Quick, you must make it happy by purchasing gifts of merit! Thus, here are four books published in the past year that are worth giving to the people about whom you care. The duchess of smart Mediterranean cooking books, Claudia Roden, is back with this worthy entry, The Food of Spain. It is no secret that the Manolo is intensely fond of the comic novel, and this book about the pair of sibling hired killers, The Sisters Brothers, is the best comic novel of the past year. 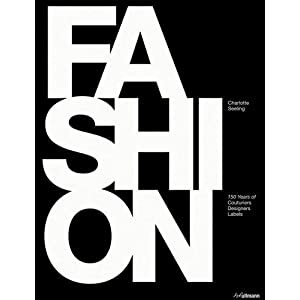 The Manolo loves this comprehensive book, FASHION: 150 Years of Couturiers, Designers, Labels by the Charlotte Seeling. It is encyclopedic without being dull and dry, and has pretty pictures by the score. This would be the perfect thing for the young person who has the deep interest in the fashion, but little knowledge of its history. Manolo says, it is Monday and you are back at your desk frantically trying to find the gifts for your beloved ones. Yes, you had the big plans to go out on the Black Friday and fist-fight with the crowds to find things worthy of putting under the trees of Christmas, but then a) you decided that getting up at three in morning to go to the Wal-Mart was ridiculous, and b) in the mid-morning, as you were getting ready to leave, you heard on the radio that there was the 14-mile traffic jam on all the roads leading to the mall, which convinced you to stay at home, eating turkey sandwiches and reading the hospital-themed romance novels. Happily, today is the Cyber Monday, when the machines do the shopping for us! Sadly, until the scientific panjandrums perfect the robotic you, you will still have to do your own holiday shopping, although, thanks to the ancient and hallowed traditions of the Cyber Monday, you can do it on company time! 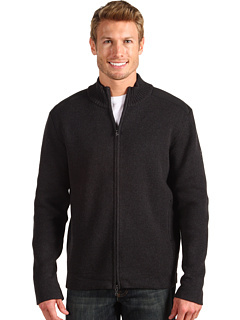 The Victorinox Mahale Zip Cardigan available in the three colors (charcoal, black, and navy) is the sort of practical cotton sweater that even the most manly of man would be happy to don. 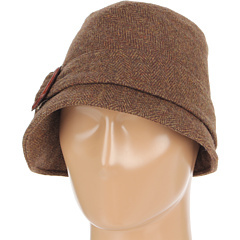 There is something about this Eugenia Kim asymmetrical cloche. that makes the Manolo very happy. Perhaps it is because the Manolo has recently been thinking how jolly it would be to visit the year 1927. The Manolo just purchased The Best of Wodehouse for himself. He did not technically need it, as he owns several other Wodehouse anthologies and individual volumes, but the Manolo was traveling, and the vicissitudes of that overwhelmed the Manolo’s sensitive constitution. Hence…Wodehouse, specifically the single funniest work in the English language, Uncle Fred in the Springtime. The Manolo asks you, what better gift to give the person of delicate and antique sensibilities? For everyone who does not wish to live in 1927…. Paper is dead, long live the book! Or, at the least, long live the The Kindle DX the e-reader of choice for the Manolo because it has the screen that is 50% larger than the regular Kindle, meaning the Manolo can enlarge the font to maximum size, thus allowing him to pretend that he does not need the reading glasses. What else would the Manolo be reading this week but We Had It So Good, the smashing new novel from his writerly friend, the Linda Grant? Although the Manolo read this book the few months ago, he has returned to it this week, as it has finally been published in the United States. We Had it So Good is nothing less than the biography of the whole generation of middle class peoples, telling the story of the Baby Boomers through the eyes of the Californian who settles in London and ages through the past forty years of tumult. And yet, what the Manolo likes the best is that, even though the book is ambitious, it never forgets that it is about interesting individuals with individual and particular experiences. It is the entertaining story well told, and because of this it would be the good book for the intelligent book club, something that gives you much to consider and discuss, even as the story pulls you along. So, you must read the We Had It So Good, it both very smart and very enjoyable. N.B. The Manolo’s friend Sarah (who has the new blog!) is back with yet another literary shoe moment which will edify and amuse. For very special occasions, like church and birthday parties, my sister and I had patent leather mary-janes, like these. They had soles so slick that Mom had to put strips of electrical tape on the bottom to keep us from wiping out on our way into the Sunday school room. To keep them shiny and prevent them from cracking, we rubbed them with a thin coat of Vaseline every now and again. You’ll note that the striking thing about these shoes is their complete and utter tediousness. I suppose they’re classically good-looking, but they did nothing to set my poetic little heart on fire with a deep and abiding passion for the cobbler’s art. No. For that awakening it was necessary, as it always has been, for me to turn to the revelations contained in a good book. “There’s one thing you must have, and that is, bronze boots,” said Fan, impressively. “I’ve got ten dollars to do what I like with; but it’s meant to get some presents for the children.” And Polly took out her purse in an undecided way. “Well; I’ll look at them,” said Polly, following Fanny into the store, feeling rather rich and important to be shopping in this elegant manner. “Aren’t they lovely? Your foot is perfectly divine in that boot, Polly. Get them for my party; you’ll dance like a fairy,” whispered Fan. Polly surveyed the dainty, shining boot with the scalloped top, the jaunty heel, and the delicate toe, thought her foot did look very well in it, and after a little pause, said she would have them. Look at those shoes! They beat Buster Browns and mary-janes without even trying. That scalloped top! The curved heel! The instant sophistication! Not to mention the enticing, and to my childhood mind, utterly mysterious descriptor of them as “bronze.” Were they just bronze in color? Were they shiny and metallic like Mom’s fancy dress up sandals? Did they have metal tips on the toes like my tap shoes? What could bronze boots possibly be—beyond beautiful, unattainable, and forbidden? My desire knew no bounds. It still doesn’t. Looking at that picture again…who wouldn’t want those shoes? I should, perhaps, be more cautious in my lust. Because there is something about that scene I had forgotten. Because (since An Old-Fashioned Girl is that particular kind of nineteenth-century fiction for girls that, as Alcott put it, “is not intended as a perfect model, but as a possible improvement upon the Girl of the Period”) our Polly learns a sorrowful lesson after buying her boots. It was all very delightful till she got home, and was alone; then, on looking into her purse, she saw one dollar and the list of things she meant to get for mother and the children. How mean the dollar looked all alone! and how long the list grew when there was nothing to buy the articles. “I can’t make skates for Ned, nor a desk for Will; and those are what they have set their hearts upon. Father’s book and mother’s collar are impossible now; and I’m a selfish thing to go and spend all my money for myself. How could I do it?” And Polly eyed the new boots reproachfully, as they stood in the first position as if ready for the party. “They are lovely; but I don’t believe they will feel good, for I shall be thinking about my lost presents all the time,” sighed Polly, pushing the enticing boots out of sight. Bronze boots were clearly going to lead me immediately down the path of temptation, sin, and financial irresponsibility. Happily, I am all but impervious to moral instruction, as my detailed recollection of the boots and complete failure to recall their intended lesson clearly indicates. To this day, I am on the alert for bronze boots, in the hopes of dancing like a fairy and looking perfectly divine. And I swear I shall keep buying more shoes until I find them. Shoe Love: The Pop-Up Book! Manolo says, the publishers of this new book, Shoe Love: In Pop-Up, were kind enough to send the Manolo the review copy, and all the Manolo can say is, Super Fantastic! This is the perfect sort of the book to give to the person who loves the shoes and enjoys the whimsy, which is the very apt description of the Manolo and many of his internet friends. It is visually witty, enjoyably well-written, and reasonably priced, under $20, and so it would be the excellent little something-something to send to someone in need of the cheering up. Shoe Love: In Pop-Up... Super Fantastic! Of the course, the shoe-based pop-up book would also be something one would enjoy having for oneself. Indeed, this book now occupies the prominent place on the coffee table of the Manolo. Manolo says, the Snooki, she is not just the cultured lady-thing who drinks her herbal tea with the pinkie finger extended, she is also now the published author person! Snooki once told a reporter for the NY Times that she’d only read two books in her life, Dear John and Twilight. The orange wonder can add one more book to that list, because her new work of “fiction,” A Shore Thing, is out in stores today. […] The book is about a character named “Gia,” who is basically Snooki, and her cousin, who rent a “Seaside Heights beach house/dump” over the summer and try to get laid. Ayyyy! It sounds like something by D.H. Lawrence! Of the course, we must now look at the excerpt of this debut masterwork, The Shore Thing. A hot guido was staring at her – in a nice way – from across the room. Gia smiled at him. His back against the wall, he stood just off the dance floor, thumb in a belt loop. His chest muscles strained the fabric of his black tank top. It fit across a tummy that was hard and flat enough to cut salami on. No tattoos, which meant plenty of empty space on his arms to ink PROPERTY OF GIA. He started as if he could see through her dress, right down to the zebra-print bra and thong set underneath. The Manolo was right! It is exactly like D.H. Lawrence, only with less swarthy gamekeepers, and more swarthy guidos!